Off-page SEO doesn’t only revolve around links. Brand signals, co-citations and latent semantic indexing are a few concepts a search marketer has to deeply understand in order to maximize his/her efforts in implementing link buildings strategies for the campaign. In this post, I’m going to show you 11 off page SEO strategies that can help speed up your link building process, boost your online rankings and get more website traffic from search engines. We normally use LSI (latent semantic indexing) as a way to improve a page’s relevance to a specific search query – letting Google easily understand the page by means of looking at synonyms and connecting phrases/keywords. So if the page is a review about “Cars”, the animated film, then there should be included words or names like “Pixar”, “Owel Wilson” and “McQueen”. Further, aside from its relevance benefit, LSI keywords can also be used as phrases when finding link opportunities. 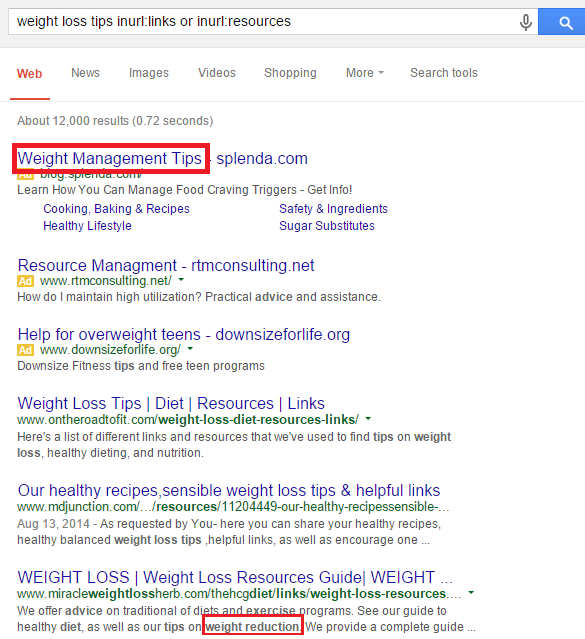 For the given example below, you’ll see that the phrase used is weight loss which if added to the advanced search query, will reveal some related industry terms like “wealth management tips” and “wealth reduction”. Add them to your common link prospecting terms – “wealth management tips” inurl:links OR inurl:resources, and go ahead find more backlink targets. Another example is when you do a Google search for the phrase, “diet tips”. 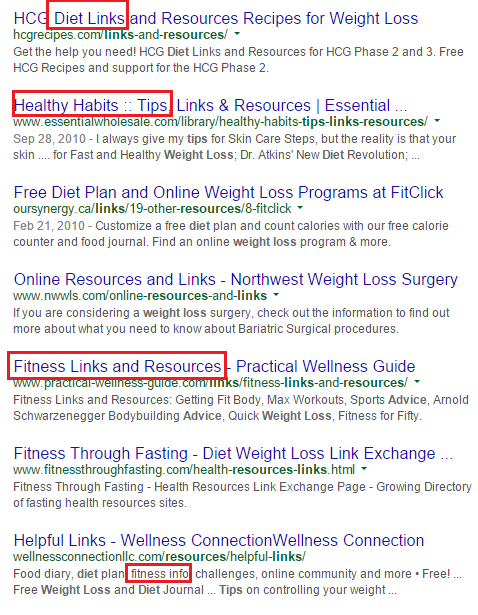 Simply by observing you’ll see niche terms like “healthy habits”, “fitness links and resources” and “fitness info” – which are all included either in the ranking page’s meta title or meta description. Become more observant at niche-specific keywords as they can open up hundreds of link opportunities by doing a Google search for them. Research papers and data-backed documents are mostly designed in a portable document format (PDF). These pieces are crafted with excellence and accuracy, but what’s missing is that not all of them are accessible to the public (keep aside those confidential company pages). What you can do is to convert these highly useful PDF documents into one accessible page. I suggest you find three or four of this type, compile all information into one page (make sure all details are interrelated with each other), then publish it on your blog. To find PDFs related to your industry, you can use the advanced search query: filetype:pdf, plus your industry keyword . 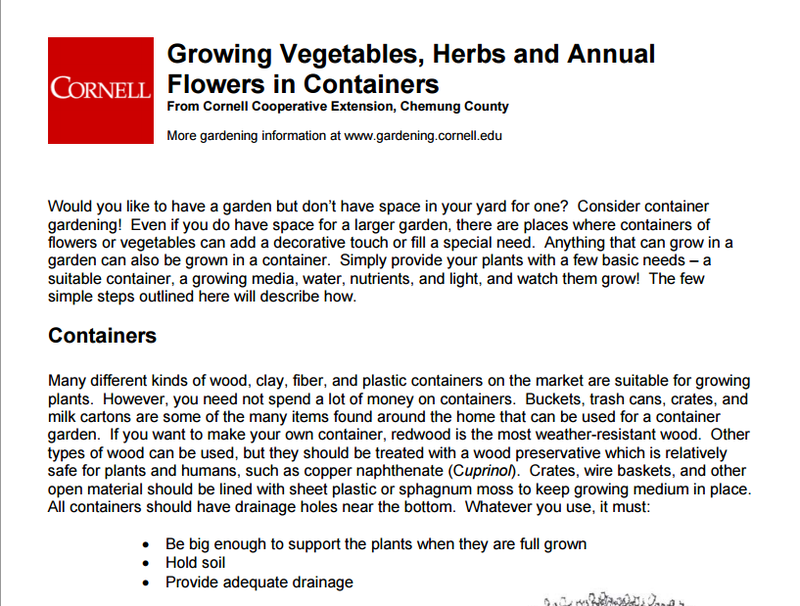 Below is an example of a pdf file that is discovered by searching for “gardening tips” on Google. As you can, the document has 18 root domains, which if added to other documents’ link targets would probably summed up to 40 or 50 backlink opportunities. You can reach out to these potential linkers and simply share your accessible page. Conversion rate would be much higher because of the utility and packed information of the content. Helping search engines understand what your brand is all about and the purpose of each of your pages could pull up your rankings both for commercial and non-commercial pages as well as easily increase brand recall within your community – as users can know your brand based on your website’s context (which is a very effective off-page SEO strategy). See how big G understands Ahrefs. Though a lot of the keywords in the image below are not aligned to what their products are offering, still brand recall is evident. Ahrefs penetrated into a specific and competitive sub-niche (link building) where its customers are taking place. Write descriptive author bios that particularly gives emphasis on what your brand is capable of providing for (either it is a service, resource or message). When asked to answer interview questions, suggest titles that will best describe your brand and your staff member in order to add up recall to your company. Invest in building expertly-made content for your website in order to attract recognition and interview opportunities – where you can somehow control the context of the page. Participate in online forums and target only one sub-industry. Answer questions based on brand’s experience and try to include case studies that’ll provide value to thread participants. Keyword integration to brand promotion will certainly take time but what’s mainly important is to get big G understand the brand in the right context – where ranking keywords will help generate sales for the business. Landing pages that are crafted with benefit-driven content and powerful copywriting skills will not just drive potential customers to the brand but possible linkers from the community. 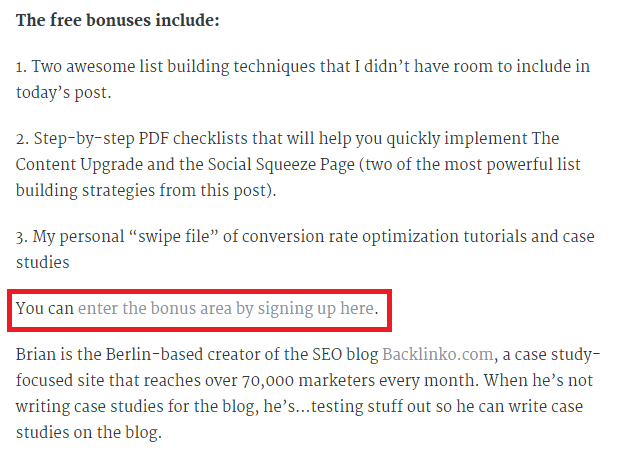 One good example of a targeted landing page is this bonus content from Backlinko, which can be seen if you click on the link below Brian Dean’s guest post on Bufferapp blog. This idea isn’t new for savvy marketers, but when done regularly for external web content (i.e. regular columns), it will impact the domain’s referral traffic data – since visitors are much more likely willing to visit the site when there’s an added value offered beforehand. Social signals are off-site SEO signals that strongly indicates a site’s user activity or behavior which can help its page(s) rank higher in search results with a minimum requirement for links. 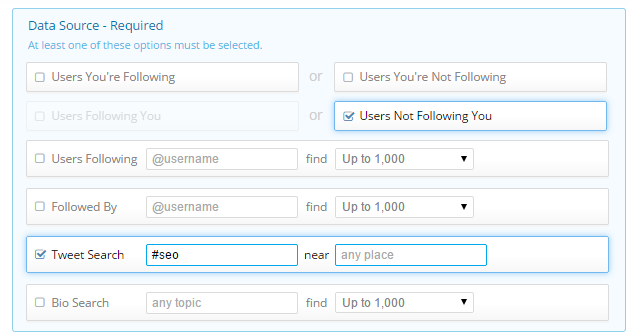 One of the main techniques that I’m implementing these days for my social campaign is a robust following/unfollowing activity. 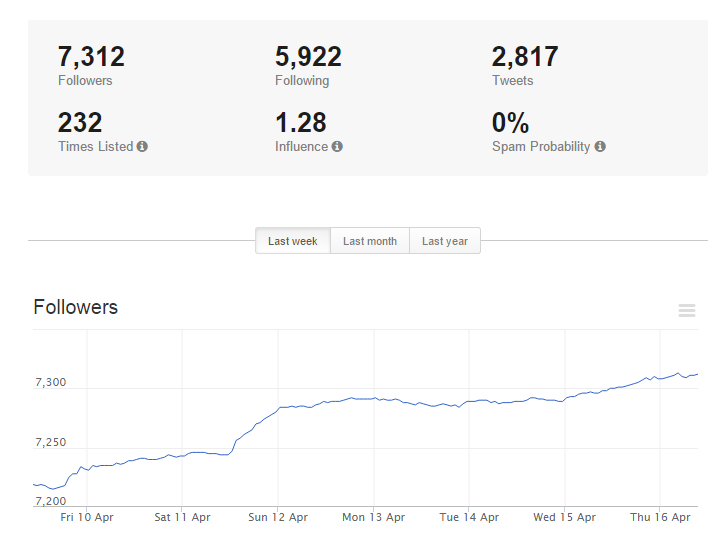 To speed up the process, I use ManageFlitter, a social media marketing tool that generates data on a daily, weekly or monthly basis (example image below). 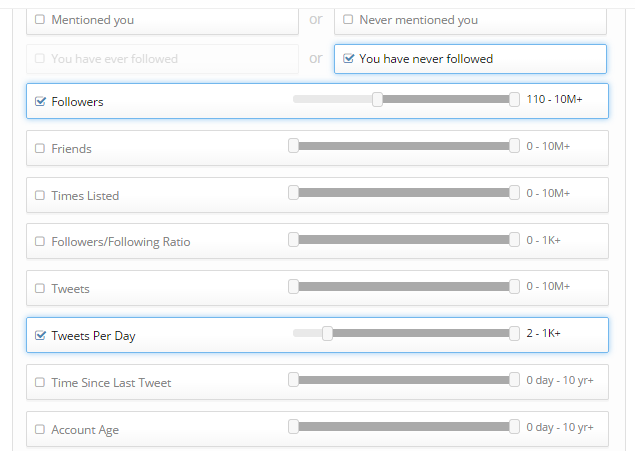 My normal approach is following a certain number of social users every single day then unfollowing those people who haven’t followed me within two or three days. Note: Please read the Twitter guidelines to avoid any chances of getting suspended. 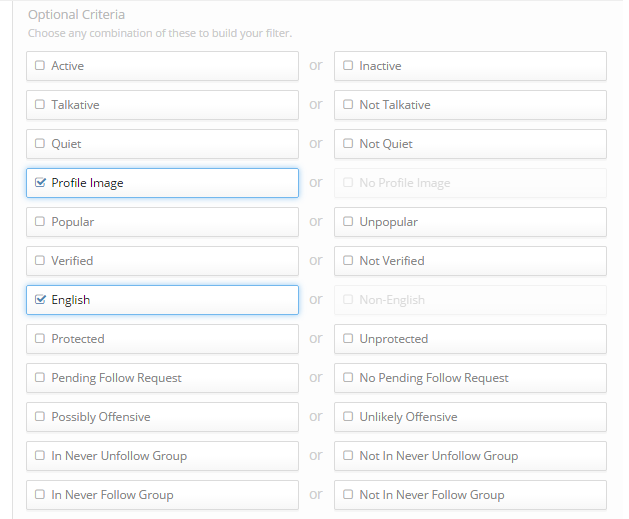 The tool will charge you $12/month for 5 social accounts. The good thing with this automated tool is that you can scale the social activity – even spending 5 minutes/day. This will certainly boost your social presence and bring in referral visits to your website once you start sharing useful content. Earning authority backlinks today is almost impossible without having real relationships with industry publishers and content creators. Relationship building is a tedious activity that requires a balance of time and planned action. Investing too much time with influencers who can’t give benefits to your brand – as they may not be interested to the value you are offering is probably a waste of time. On the other hand, expecting a relationship to immediately yield results would get others pissed off and would produce bad impression about your brand. 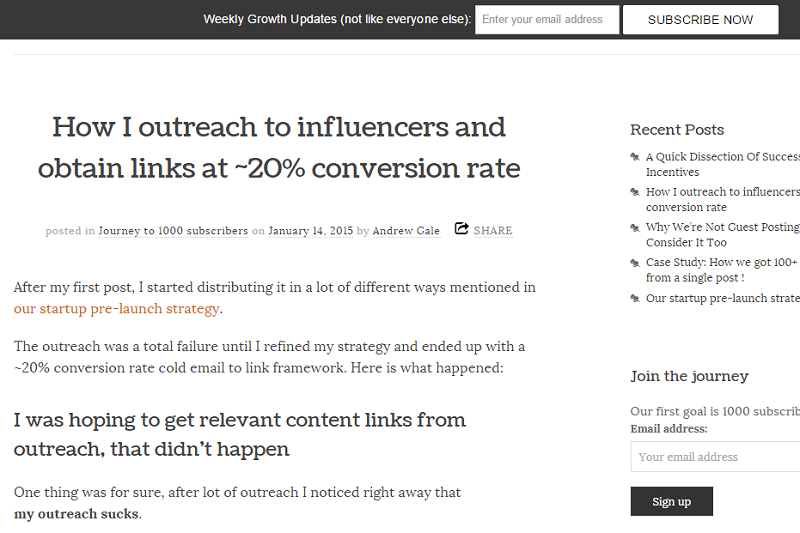 Andrew Gale wrote a very interesting case study on how he managed to get 20% conversion rate in outreach by offering unique value to each prospect. Pre-engage outreach targets by sharing their latest content on social, participating in conversations where it is relevant and understanding deeply their interests as influencers/bloggers. Personalize your email with enough boosting of their egos – could be more effective if you praise one of their posts. Show that you appreciate their post and elaborate how your post is going to make theirs even better. Profitable links should be best placed in websites where customers are engaging and have high purchasing power. If you are a supplier of any product from any niche, then getting backlinks from general supplier sites would help customers to directly find your brand. 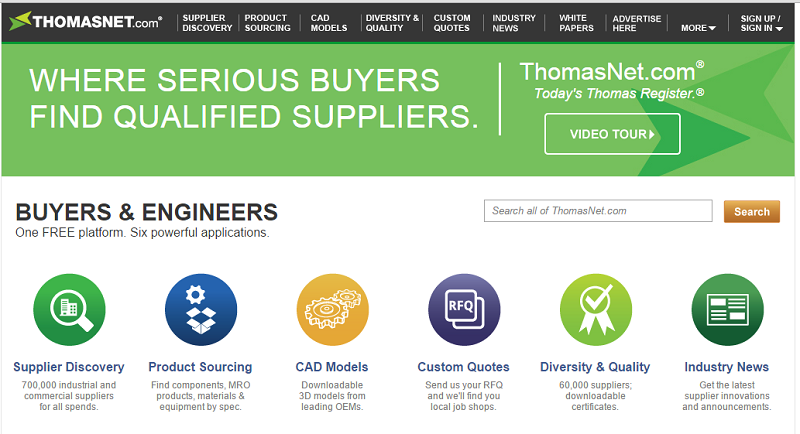 You can create a profile in Thomasnet, add a link pointing to your company site, complete all the information and earn some referral traffic once your page has been published. 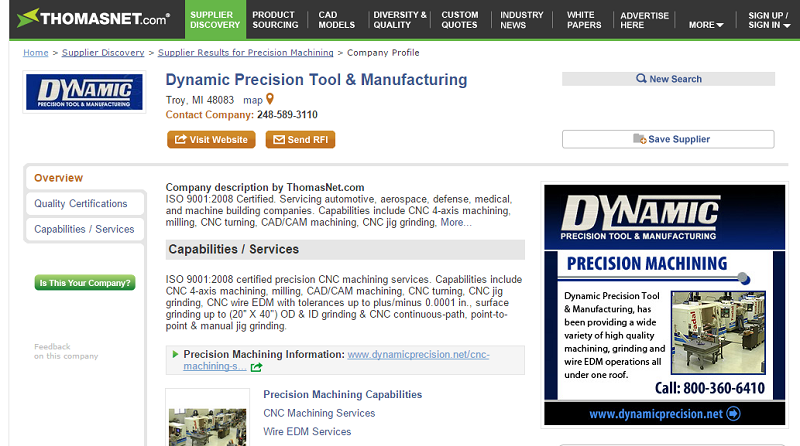 Here’s a sample of a company page that has all the necessary information – from logos to types of services offered. Improving pages’ rankings in search results and building importance across your industry are a few goals that a link acquisition campaign should at least achieve in long term. One of the effective methods in determining if there’s a ranking potential in a particular keyword or set of keywords is by looking at the average number of referring domains for each page listed in SERPs. For instance, the keyword phrase, “gardening tips” has thousands of monthly searches, so when you do a Google search for it, you’ll see authoritative domains outranking the less popular sites in the gardening industry. If you have a new website, you can compete with these bigger brands by publishing a content asset that is optimized for the phrase, “gardening tips”. Instead, you might want to go to another route – that is finding other keyword phrases that don’t only have low competition level but wherein you’ll have high chances of ranking based on link analysis. 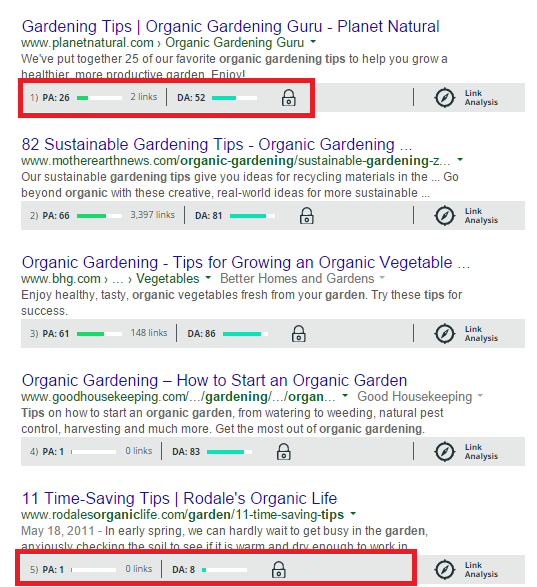 Basically, link analysis could help you estimate the average number of backlinks that you have to build for your page/site in order to get to the top 5 of page 1 for the target keyword, “organic gardening tips”. The first domain ranking for that phrase is a list post from Listolic. Currently, the page has 68 referring domains with 16 new links for the last 2 months. This means that the benchmark or average number of links that you have to build should be around 70 in order to outrank its existing links plus incoming links acquired each month. 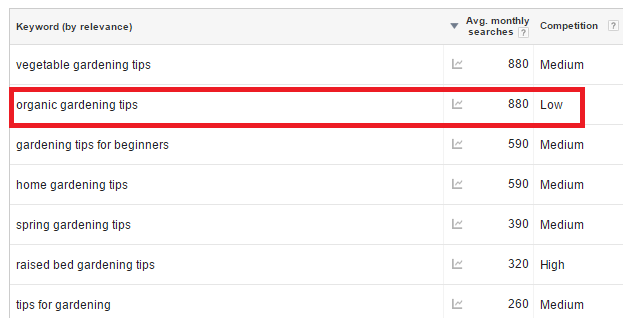 Do the average math for the five ranking pages in SERPs and identify what number you have to achieve when building links for your content/domain. From that average number of referring domains (let’s say 40), you would want to find evidence of at least ~400 resource page type opportunities that high potentials of linking to your site (assuming you could convert at around 10%). You can check out this in-depth guide by Nick Eubanks on the subject of ranking potential. In my first several months of blogging, one of my main struggles is blogging frequency – that is publishing articles consistently on your blog without any chance of breaking the momentum. 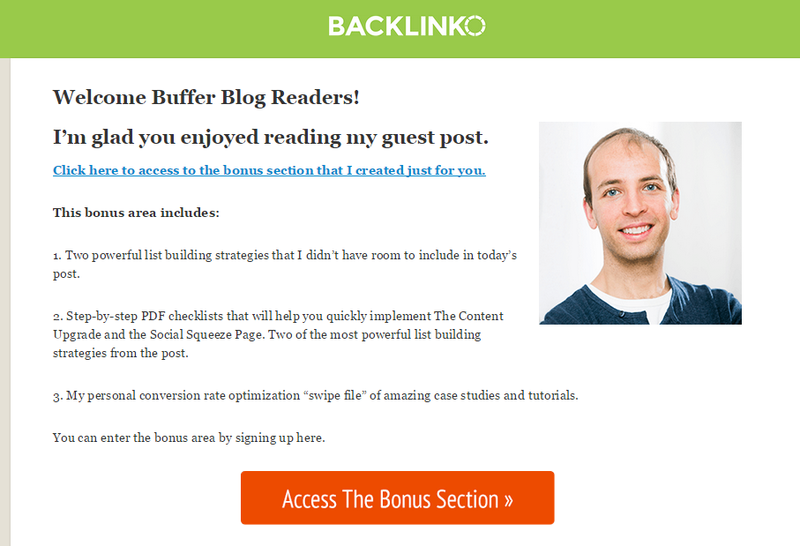 Achieving it won’t be possible if you don’t invite other industry publishers for your blog. But with that sole purpose (follow blog frequency), I’ve found that there is a higher chance of earning links by inviting guest contributors rather than creating content all the time by myself. One backlink that I earned several months ago is this image link from the homepage of PageonePower. This isn’t an ordinary image backlink since it demonstrates authority – notice that keyphrase “where we’re published”. 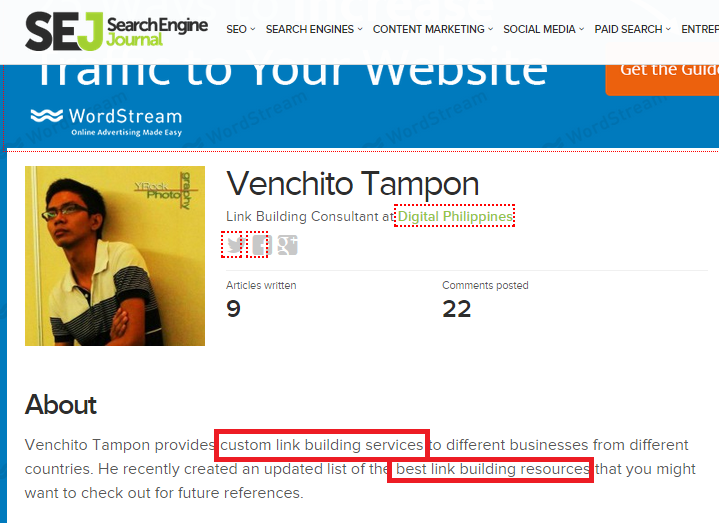 It adds value to the backlink given that visitors of that site would find that my link building blog is an authoritative publication in the search space. Collect data of industry friends that have an engagement history with your brand as they are more receptive to invitations since they knew about your website and you as a publisher. 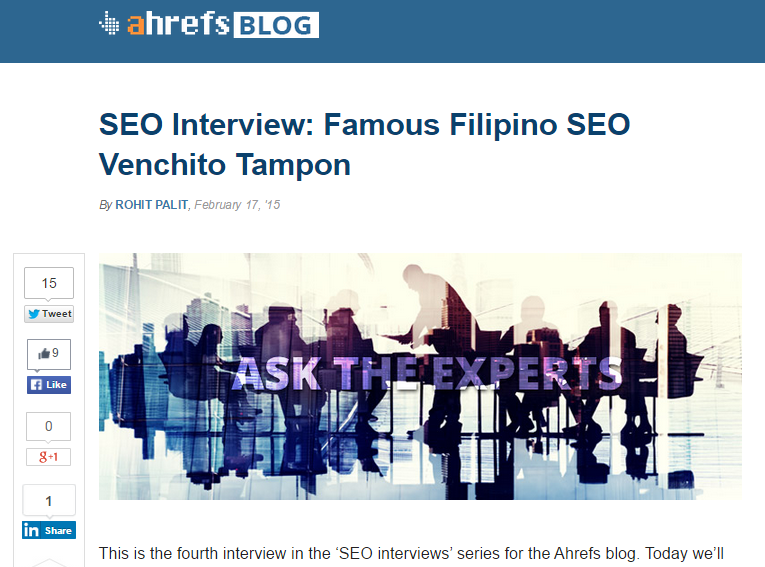 A few months ago, I’ve been receiving a lot of guest content contributions from my local industry peers, primarily because I’ve been active in speaking at local SEO seminars here in the Philippines. Add a monetary benefit to their guest contributions – both one-off payment and additional price once their post gets traction on the web (i.e. if they reach 1000 visits in one week). This technique would motivate them to create content that are highly useful and can potentially attract new incoming links. 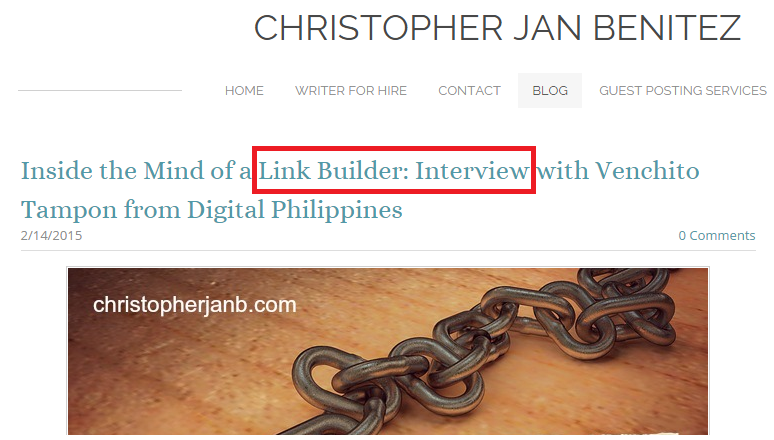 Broken link building isn’t new to many folks reading this post today. However, improvements in implementing this off-page SEO strategy should be the number one priority of every link building team. One way to move the ladder is to point out the right pages that a resource page should be linking to. Start with finding broken links in the page (use Jon’s LinkMiner – it’s updated regularly and my most recommended Chrome extension tool). When you collect all the data such as broken URLs and anchor texts, try to understand why these links are broken. Search for the correct links and include them to your outreach. For example, this career resource page has 8 broken links, found using the LinkMiner tool. One broken links should be directed to http://careers.npo.net/ and one is 404 page, which if investigated is in a development stage for a redesign. In your second conversation with the potential linker, you can use those details as an added value to your outreach. This approach will take a few minutes of your time but can highly increase your conversion rate because you’re giving value as opposed to just emailing them broken links in their resource page. Most of the time, new websites don’t have initial traction in the community leaving it impossible to acquire its first set of blog readers, email subscribers and/or potential customers. However, one of the ways to build some initial traction is to use Launchrock. It is a site builder platform that can help you create one landing page (may it be the homepage) for your website. Build contextual backlinks from industry-related blogs by contributing useful content that can bring referral traffic to the landing page – helps your brand to acquire its first set of email subscribers. Engage in niche-specific forums to create alliances with industry peers who’ll eventually help your domain earn its first tier of backlinks. If you are looking for a link building agency to partner with you, then don’t hesitate to contact us today. Many thanks for useful article! Venchito, as usual, it is very meaningful! “8. Identify ranking potential through link analysis” I’m always doing this when I do link building. I really read through the article and I had some idea to apply it in my work. I’m not sure if it will work but I guess I need to experiment and choose the ideal system for my work. Great read. I must say that the article is well thought of and was based on successful link building campaigns. Learned a lot from this. Great Article. These all are the valid SEO off page strategies to increase rank and traffic. Authority links work well in terms of getting more visibility and rank on the internet. Some really effective 11 off-page SEO tips you have shared here. 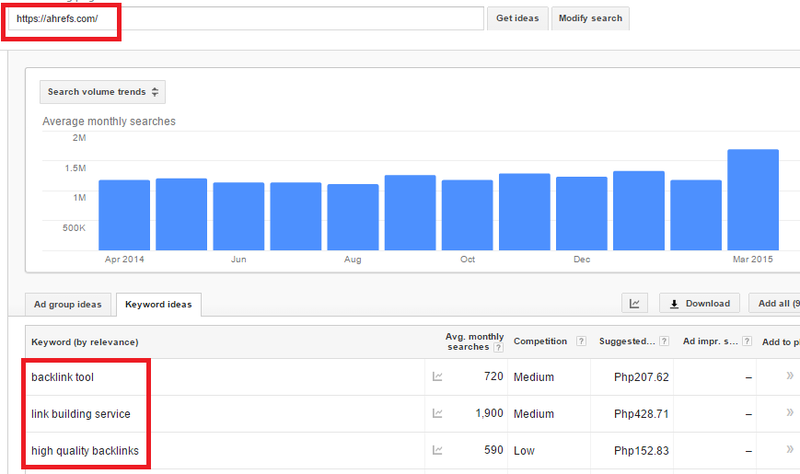 Especially i liked the method you have mentioned here for generate keyword relevancy. Surely we can generate keyword relevancy in a natural way.